When you come to Ten Ren’s, you realize right off the bat that they take their tea seriously. Their selection is mind-boggling with everything from fruity bubble teas with tapioca pearls, green, black, and oolong teas with fresh fruit, milk and ice, fruit ices, fruit slushes, coconut milk teas, horoscope drinks, and a plethora of hot teas including ginseng, chysanthemum, blooming flower blossoms and herbal combinations in charming tea pots. Think mango, peach, strawberry, mocha, coconut, taro, red bean, banana, grape, lychee, passionfruit, peppermint, kiwi, lemon, green apple, honey, grapefruit, almond, papaya, watermelon…and everything in between. You wouldn’t expect anything less from a sit down tea house. What you might not know is that they also do FOOD very well. Each time I come to Ten Ren’s, I’m reminded all over again why I love it so much. I am head over heels for their desserts (especially their cute little cakes) and their warm bowls of steamed rice and noodles are a warm, familiar comfort. Ten Ren’s and I go way back and I love this place to pieces. For one thing, it’s a gorgeous place to be in. It’s open and spacious with high ceilings, bamboo and wooden accents, large windows, traditional Chinese scrolls and ink drawings on both the walls and glass, soothing neutral colours, and trinkling water fountains. It’s so wonderfully relaxing having a meal here. 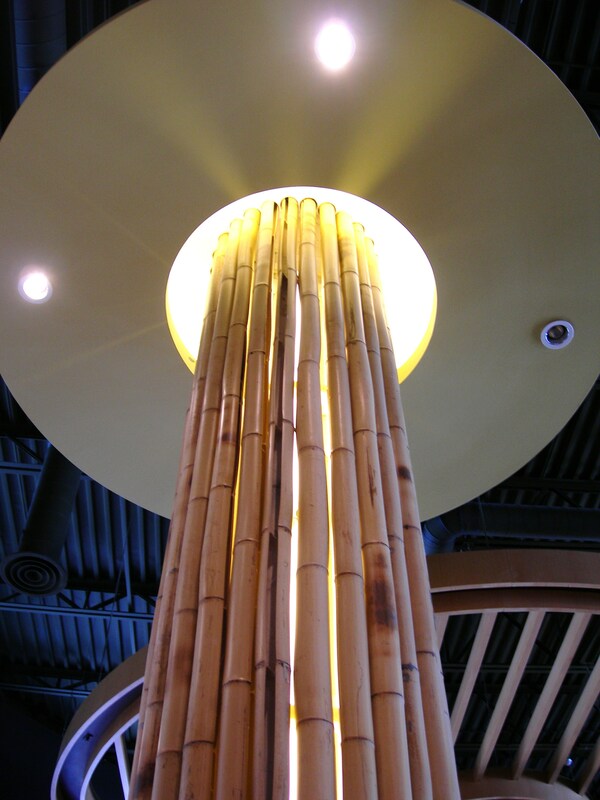 Ten Ren’s has this peaceful, soothing tranquility to it much like King’s Cafe in Kensington Market; it’s like being in a food spa and the atmosphere adds so much to the dining experience here because you don’t feel rushed, or confined, or caught up in the hustle and bustle. You relax and you enjoy. And if you order a teapot of blooming flower blossom tea, you sit back and quietly watch your blossom and tea do its thing as it gingerly opens up. It’s a beautiful thing. 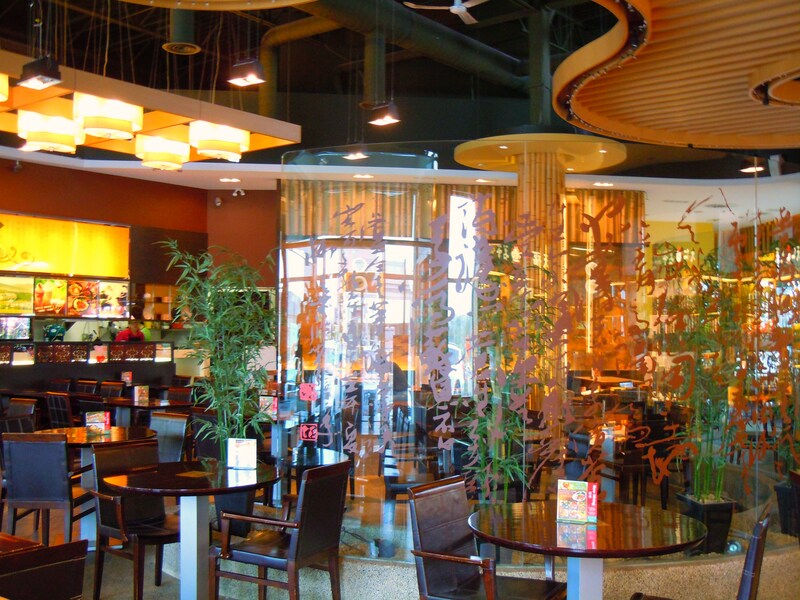 Ten Ren’s food is a fusion of Chinese, Taiwanese, and Japanese with many items infused with tea. 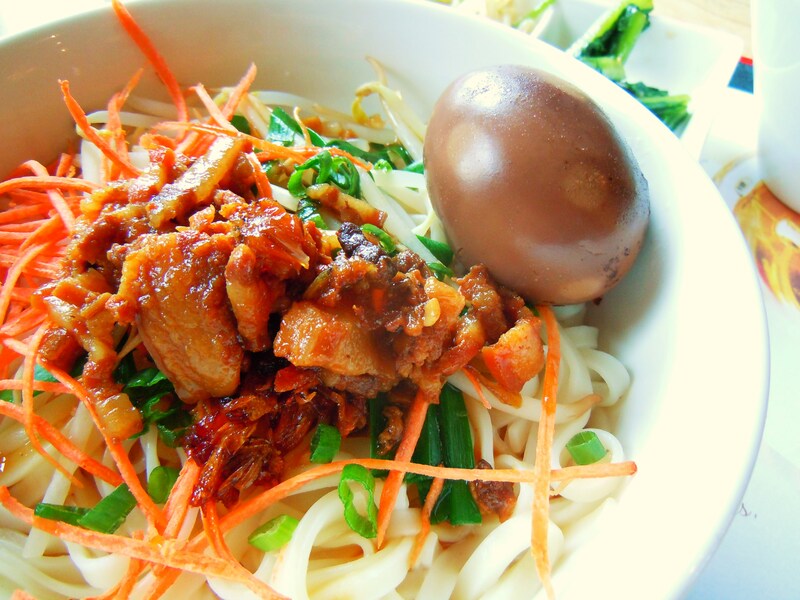 They have steamed rice and noodles with both meat (fish, chicken, beef, and pork) and vegetarian options. Meat items are things like curry beef, spare ribs, breaded fish fillets, seafood dumplings, black pepper chicken, crispy chicken, pork and chicken cutlets, and bbq meat (siu lap). 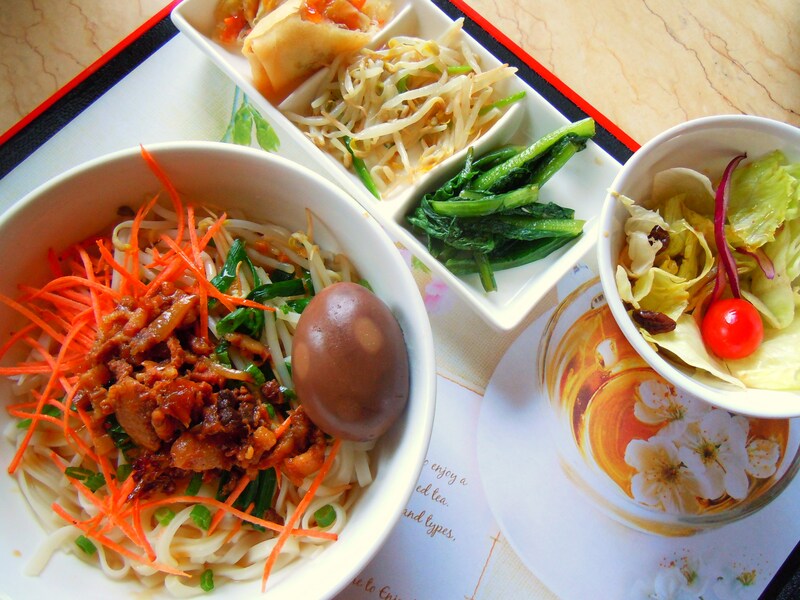 Vegetarian items include lots of steamed Chinese vegetables (gai lan, for example), pickled vegetables, tofu, cabbage, winter melon, Chinese style boiled eggs (cha yeep daan and soy sauce eggs), and others. 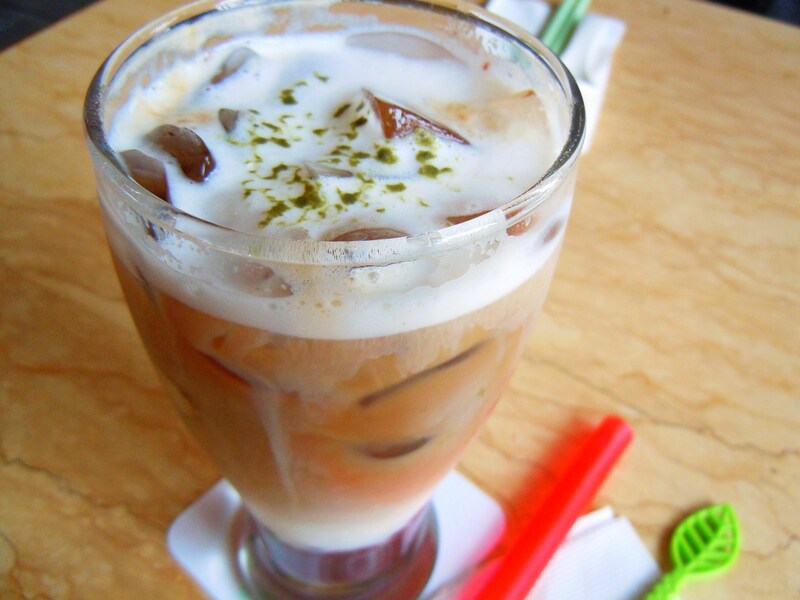 It’s one of those perfect places for a bubble tea date, a drinks and dessert date, and a lunch or dinner date. Basically, for any part of the day except breakfast! This is one of their strengths though because when you come here, you’re not obligated or relegated to having an actual hearty meal. You can come in here with a friend or group of friends and just have a drink, or just order a soup or dessert. 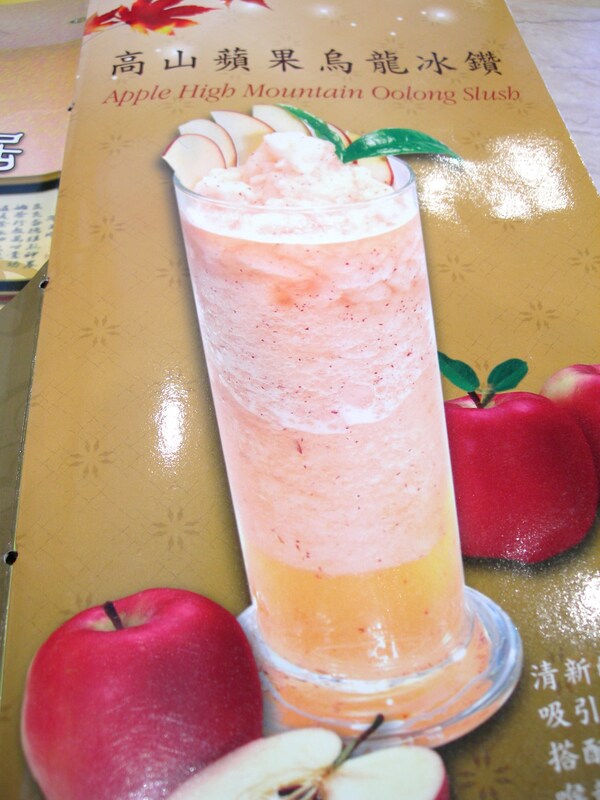 You don’t feel that pressure to order whatever you don’t want to order because their menu is flexible. This also means that you decide on how much you want to spend. Granted, you obviously decide how much you want to spend any time you dine out, but you get what I mean. When you go to certain places you KNOW that you’ll be putting down $20, for example. 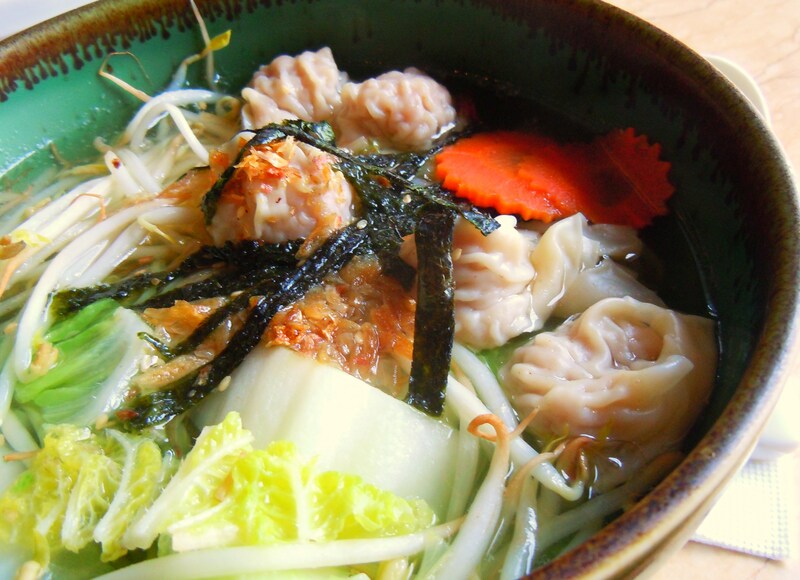 At Ten Ren’s your meal could be anywhere from $4-$20. Drinks can be be anywhere from $3-$8 (don’t forget, this price range includes pots of tea as well), desserts come in at $4-$6, and food will run you an average of $3-$15. 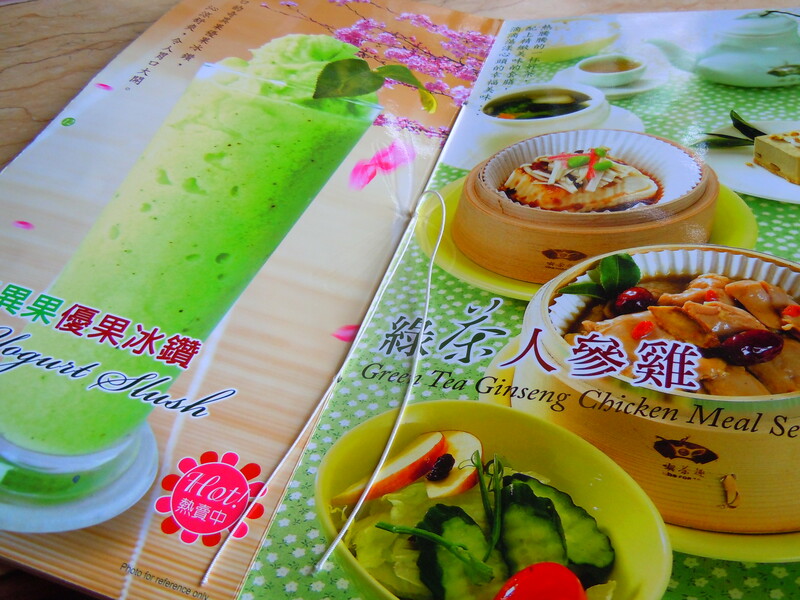 Lesser expensive items include soups, steamed rice, dumpling dishes, and small mains. Mid-range food items ($6-$10) are dishes like bowls of soup noodles, larger rice dishes, and things like sharing plates. At the highest end of the price range are the $13.99 and $14.99 meal sets (combos) that include a main, a drink, and a dessert from a list of choices. In a nutshell, I’d say an actual “food” meal would come to around $10-$12 because you could honestly mix and match menu items till the sun comes up. The last time I was here, my longtime friend Katrina from The Demure Muse and I had ourselves a summer bubble tea and lunch date. I love this girl. I have known her for nearly 7 years now and she’s one of the few people in my life that I can yak about everything with, from clothes to food to crafting to relationships. Throughout those 7 years, we were all over the place with both work and school and I feel so lucky to have her as my friend because we never once lost touch and we always had each other’s backs and I can say with certainty that we always will. 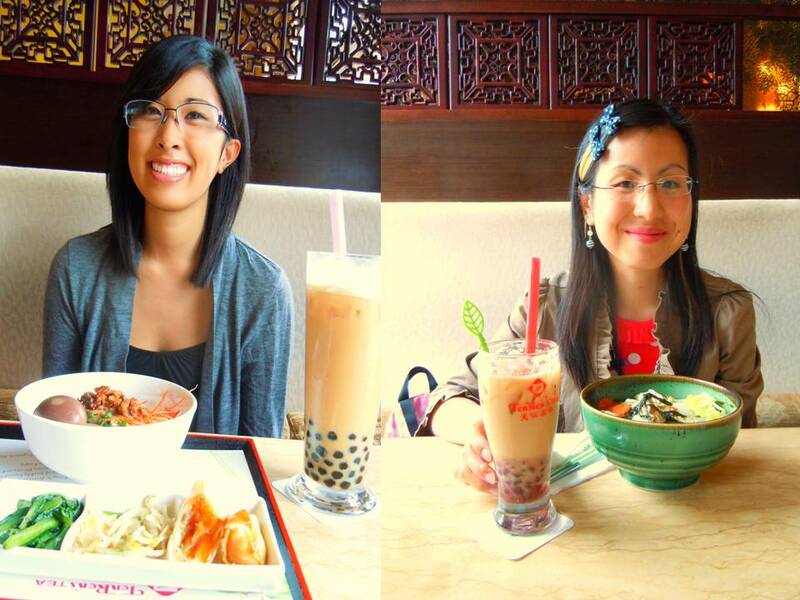 We both ordered bubble teas and food and it was actually a first for the both of us but for different reasons. It was Kat’s first time ordering “food” food at Ten Ren’s and it was my first time ordering noodles. And I am happy to report back and say that I loved my noodles and enjoyed a bubble tea I wasn’t sure I would enjoy! Remember how I said I’ve never been the biggest fan of red bean? And remember how I said that I’ve recently changed my tune and have been purposely eating red bean things so that I would increasingly warm up to it more and more? Well, that’s what I did this time too! It took me forever and a half to decide on a drink, but I finally settled on a red bean mocha drink with green tea matcha powder sprinkled on top. I really enjoyed it! Granted, I wish there was more green tea matcha, but for the most part, it was a delicious drink and I adored my giant red straw and lime green skinny spoon! You know how I feel about colourful utensils 😀 There was a very generous amount of red bean and the mocha had a yummy coffee-mixed-with-chocolate flavour that wasn’t bitter from the coffee part of it. And to eat, I had myself a hot (and I mean hot as I had to take my glasses off while I ate because they were fogging up!) 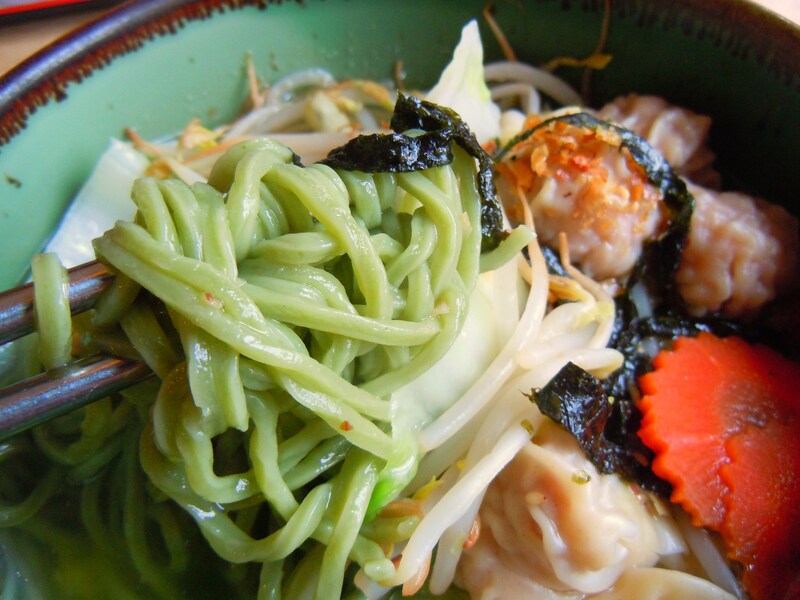 bowl of green tea noodles with shrimp wonton dumplings. The green tea noodles were pale green in colour and although the herbal flavour was very subtle, they were super smooth and soft and they were scrumptious. My shrimp dumplings were juicy and savoury and I loved the shredded seaweed and adorably shaped carrot slices. To finish off the bowl, bean sprouts (which I actually don’t care for but ate anyway) and some lettuce and napa cabbage. It was my first time trying their noodles and I’m looking forward to trying some others, but probably sans the bean sprouts, ha. Ten Ren’s has given such sweet memories over the years with all the tea and lunch dates I’ve had with close friends and in many ways, I feel like this is still just the beginning. Even after all the visits, the menu is dizzying to me all the same, so I guess that just means I’ll have to remedy that by going again. And again. And eating cake and drinking awesome drinks. 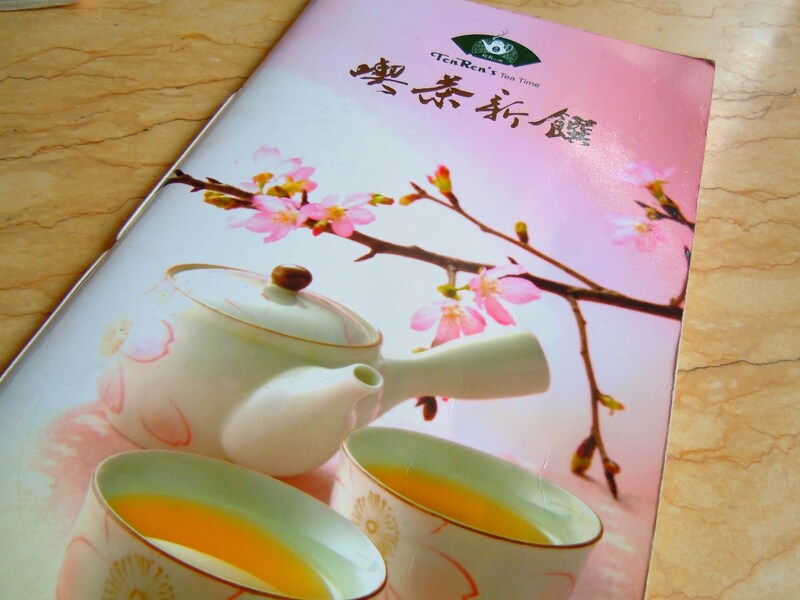 Ten Ren’s Tea Time is located at 111 Times Ave. in Richmond Hill, Markham. Ten Ren’s sits at the corner of Hwy 7. East and Times Ave/Valleymede Drive (Times Ave is the southern portion of the street and Valleymede is to the north of Hwy. 7). They are open for lunch at 11am 7 days a week and they stay open into the wee hours of the morning (1am-3am). For more info, click here. I love the way bubble tea gets everyone animated, excited, and talking. There’s the ubiquitous “with or without tapioca?” question (or debate depending on how passionate you feel about this issue) and hundreds of different flavours and combinations to consider and try if you’re ambitious. 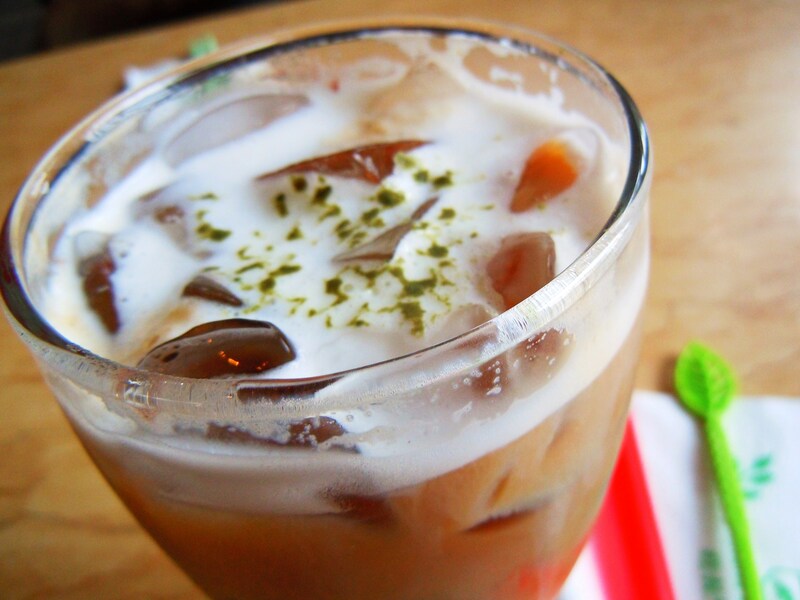 Everyone has a bubble tea story whether it’s a story about their first time trying it (and developing that love or hate relationship early on), going out with friends on countless bubble tea dates, or nearly choking on a tapioca or boba pearl from slurping too fast. 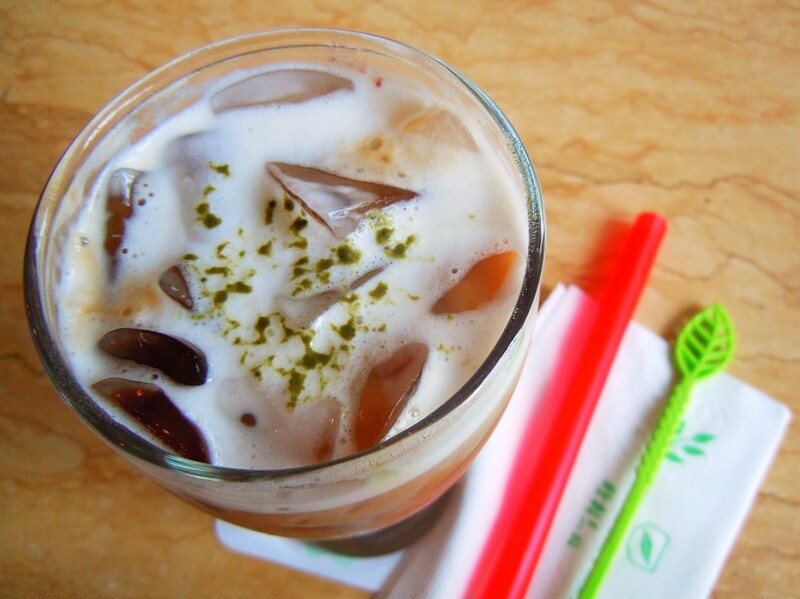 Whatever the story is, bubble tea has played a part in many of our social lives for at least the past ten years. During high school my friends and I would even use bubble tea straws and lid domes for art projects! I can’t pinpoint the exact moment the bubble tea explosion happened but what I can tell you is that I’ve been slurping up a storm for years now at beautiful tea houses like Ten Ren’s. And have I ever enjoyed myself thoroughly here! 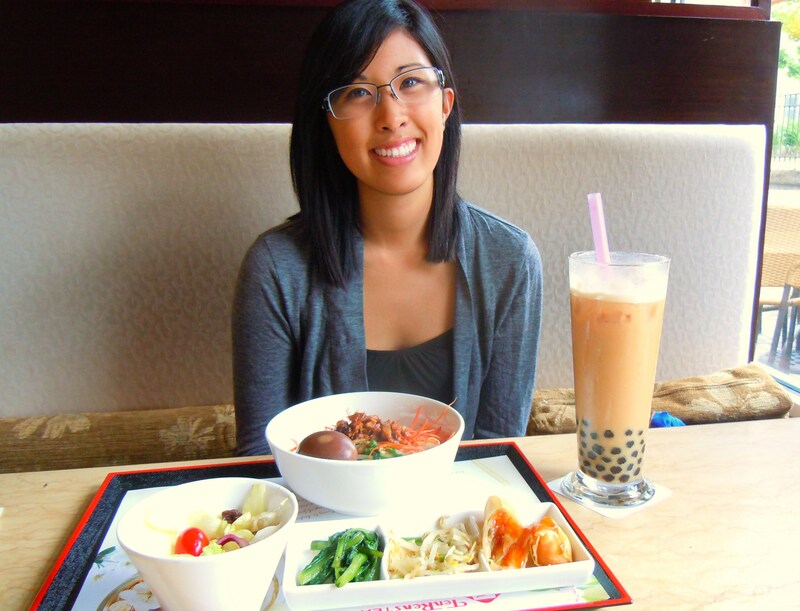 Over the years I’ve had rice and noodles, crispy fish fillets, a beautiful tea pot of blooming chrysanthemum tea, giant glasses of slushes and fruity bubble teas, and many dishes of dessert! I am especially gaga for their little mousse cakes and freeze cakes and I’ll even be so bold to say that these are my favourite items at Ten Ren’s. I’ve had 3 flavours of their little dishes of cakes and I am always wanting more. They’re so cute and they’re yummy to boot with different layers of texture and flavour to them. 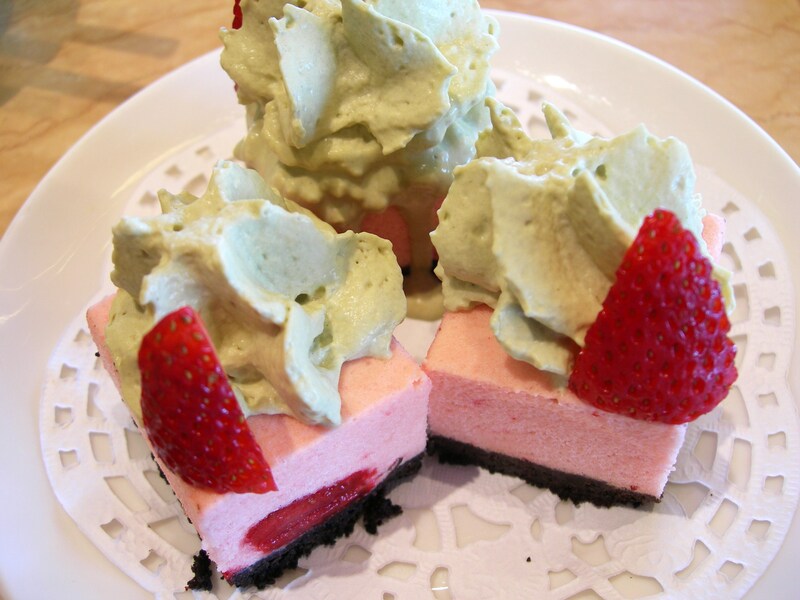 I’ve had their mocha freeze, mango mousse, and their strawberry green tea mousse cakes and I’ve loved all 3 of them. Their freeze cakes are similar to ice cream cake and their mousse cakes are exactly that, cubes of whipped creamy mousse that are airy, super soft, and that are almost like meringue in taste and texture at times. Even if I don’t end up ordering any during my visit, I always look forward to the prospect of having these in my mouth and tummy. 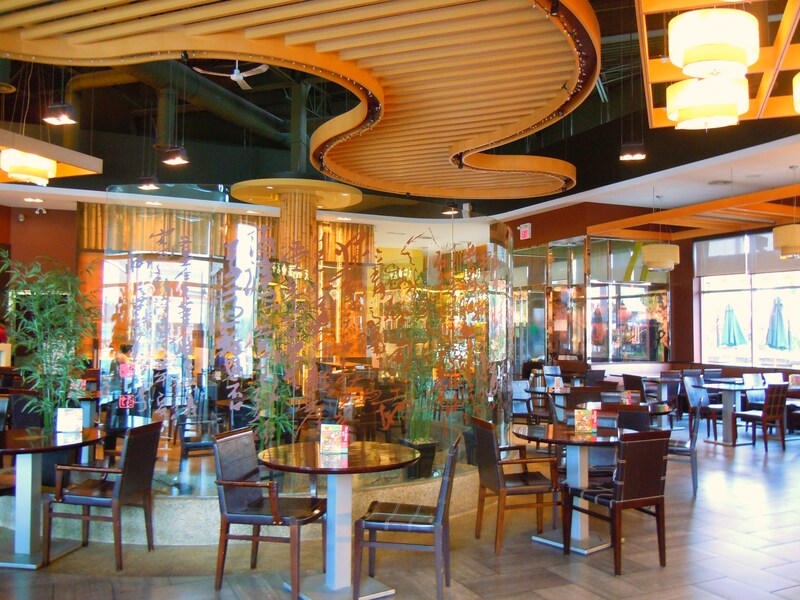 Ten Ren’s Tea Time is one of my favourite places in Markham and I feel so incredibly lucky that the only dine-in, sit-down tea house location is in Markham. Ten Ren’s has a number of locations around Markham and Toronto, but most of them are shops that either just make and serve bubble tea to go, or shops that have both bubble tea booths and a retail section of tea sets, accessories, and take-home tea. I’ve been going to Ten Ren’s for years and I feel almost spoiled because of its accessibility. I’ve literally hopped on the bus to and from school to meet up with friends for a tea and lunch date because the bus literally drops me off right outside their doorstep. Ten Ren’s is a staple in my foodie book. The tea house is gorgeous, the menu is so extensive it makes me dizzy with indecisiveness, and I am just in love with the atmosphere and desserts. I have a nice big, pretty post for you all tomorrow, so enjoy the teaser photos in the meantime!